Really nice painted watercolor on ricepaper. 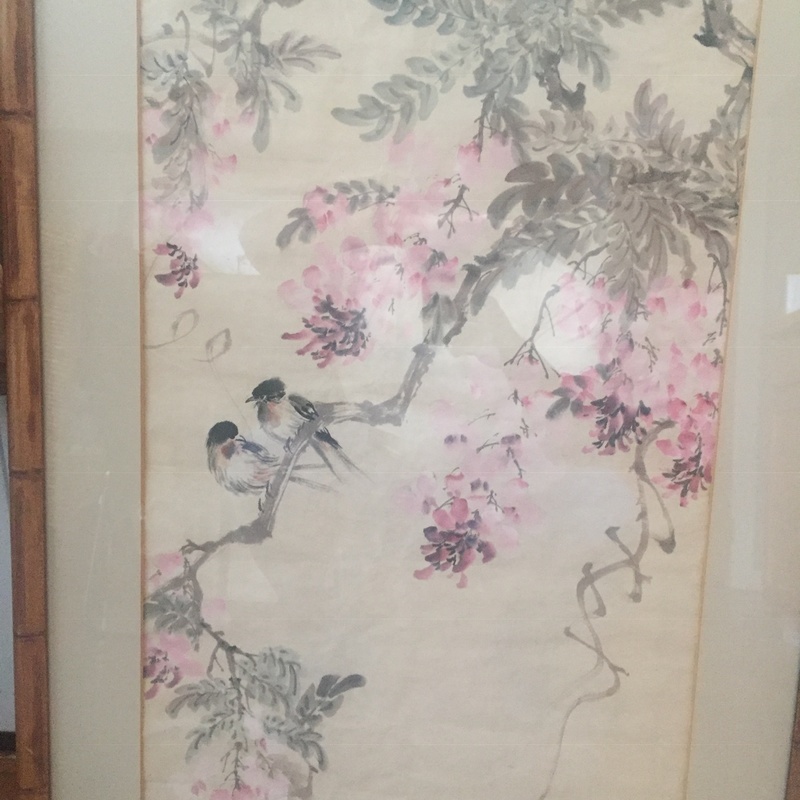 Chinese art made in 1976. Its signed but I could not find a reference. It appears to be H. Lin (?) It is not signed in the traditional Chinese way but made for european market. Maybe even a Chinese artist living in western country for longer time. It's a nice decorative paintd watercolor not high end art. Looks colors are slightly faded away due to exposure to the light. That will have effect on the value. Anonymous artist but decorative and therefor my estimation.